February is packed full of events in Sonoma Valley this year! From winery new release parties to winemakers dinners to cheese making classes, there is truly something for everyone. Make sure to check out our full calendar of events, but in the mean time, here are a few of our favorites from the upcoming month! Celebrate FeBREWary all month long with the Santa Rosa Beer Passport! Pick up a passport at participating breweries, Wilibees, Brew, and the California Welcome Center. Get a stamp at each of the participating breweries. Receive at least nine brewery stamps and take your completed passport to the California Welcome Center in Santa Rosa to choose a prize! 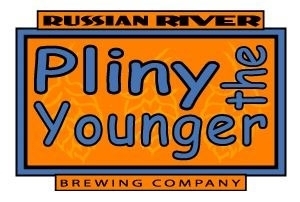 Russian River Brewing Company's phenomenally popular Pliny the Younger is released the first Friday of February and is available for just two weeks, Feb. 2-15, 2018. This Triple IPA has triple the amount of hops as a regular IPA, making it difficult and expensive to make - hence it's short release time frame and limited availability! This award-winning brew is not bottled, so more people can try it right from the source in Santa Rosa or at select draft accounts. You won't want to miss it! The 29th Annual Great Sonoma Crab and Wine Fest is the premier Crab and Wine event of the North Bay Area! Join over 1,400 leaders from the agriculture and business communities in support of scholarships, education programs and youth activities! This fun and exciting evening has received rave reviews and is perhaps the largest crab feed in Sonoma County. Combined with an impressive silent and live auction, it makes for one of the year’s best events. The event features Medal Winning Wines, Fabulous Local Cuisine and Impressive Live and Silent Auctions. Want to grow delicious fruit trees but not sure how to care for them? Join Daily Acts and Ethic Ciders to learn how to properly prune and graft! In this hands-on workshop Orchard Manager Ryan Johnston will delve into goals and techniques for winter pruning deciduous fruit trees. You’ll also learn how to graft so that you can get creative with propagating your own low-cost, delicious, diverse, and site-appropriate fruit tree varieties. Sonoma Underground, a new event dedicated to the small, independent producers of Sonoma County, will be hosting its inaugural tasting on February 24 at Longboard Vineyards in Healdsburg.For those wine lovers who visit Sonoma and wonder: "Where can I find the fantastic, unknown wines from the small guys? How can I find the off the beaten track wineries?" This is the event to bring the “Sonoma Underground” above ground.